Tuesday, Jan 22, 2019, 7 – 9:30 p.m. Learn the basics of classical botanical watercolor painting, which will include techniques in measurement, drawing, and understanding how light reveals form, along with practice in color mixing. The application of controlled washes and dry-brush technique will c contribute further, producing an image that is three-dimensional, accurate, and aesthetically appealing--the goal of botanical painting--and equally effective in painting other subjects realistically. Beginners are welcome, and students with previous instruction can take on new subjects under supervision. 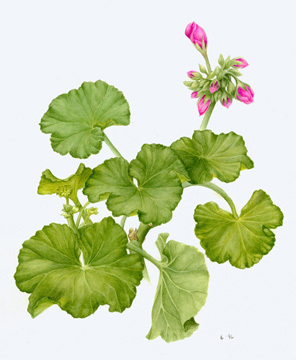 It is recommended that you take Botanical Drawing as a prerequisite. A list of supplies will be provided with the confirmation email.